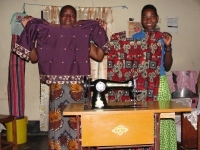 Our mission is to start a Women's Empowerment Vocational Sewing program within our Hope Child Care Centre in Kampala, Uganda similar to the one that we have been assisting in Mbeya Tanzania over the last six years, which has trained over 200 women. 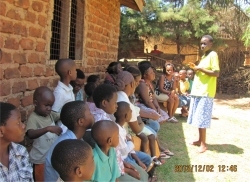 Most girls living on the streets get diseases as a result of poor living conditions; are defiled and get pregnant; experience difficulty in giving birth because of being too young; struggle to look after their children on the streets; suffer from child labour; are stigmatized as prostitutes; and lack the basic necessities of adequate food and shelter. We want to be able to train some of these girls and employ them creating the HopePAK. 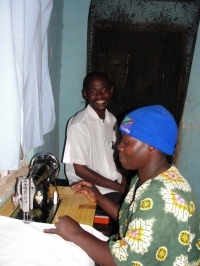 ABCD seeks to establish a Uganda pilot Women's Empowerment Vocational Sewing program that will educate and empower 10 street women and eventually employing them thus enabling them to create a better life for themselves while producing a humanitarian product for children living on the streets in Kampala. We have called this program 'The HopePAK'. It has been inspired by the excellent work being done by The Empowerment Plan a Detroit-based nonprofit organization dedicated to serving the homeless community in their area providing coats to the homeless. CLICK to view a close up design of 'The HopePAK'. 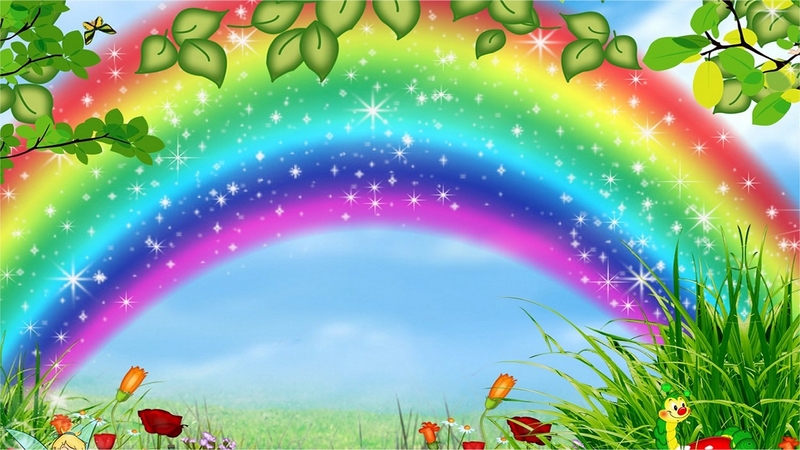 ABCD is also looking to hire some of the guardians that care for the orphans within the local community around our Hope Child Care Centre, training them to manufacture 'The HopePAK'. 'The HopePAK' back pack transforms into a smart fashonable jacket, then into a raincoat and eventually into a sleeping bag with inflatable pillow at night, and back into a back pack when not in use! SPONSOR a HopePAK with contents for only US $100. 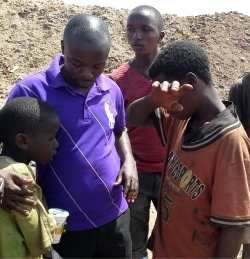 The HopePAK will be distributed to homeless children living on the streets of Kampala and Dar Es Salaam at no cost to them through partnerships with organizations, Companies and schools in Barbados, other Caribbean islands. ABCD's Trustee Jenny Tryhane is working with Barbadian dress designers to come up with a light weight, waterproof Tropical version. 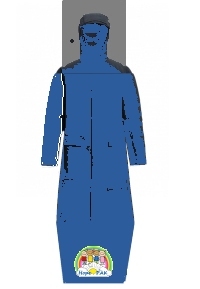 'The HopePAK' will be made from lightweight three-layer GORE-TEX® fabric creating a durably waterproof, windproof and very breathable jacket and raincoat. 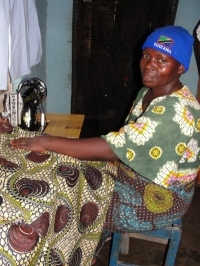 These garments will provide reliable weather protection and maximum comfort and can be manufactured at the Hope Child Care Centre our base in Uganda as well as in Haiti. We believe HopePAK will enable us to reach the women in communities that have otherwise not been reached with the Good News. Bringing employment to some of these women and blessing the street children in Africa at the same time! PRAISE GOD. 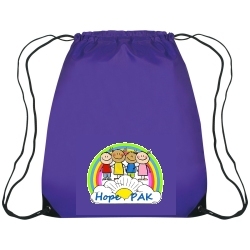 For US $45 you can fill the HopePAK with numerous vital items a child living on the street would need to ensure they are kept dry and warm day and night. Seen here the girls HopePAK. 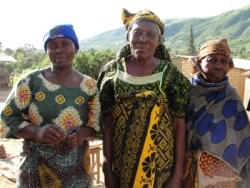 Enable them to set up temporary waterproof sleeping structures, protection from mosquitoes and deadly Malaria as well as providing clean water and solar lighting. All for a one off donation of US $45.